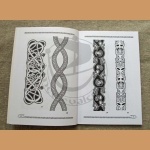 Sequel of a popular Catalogue. 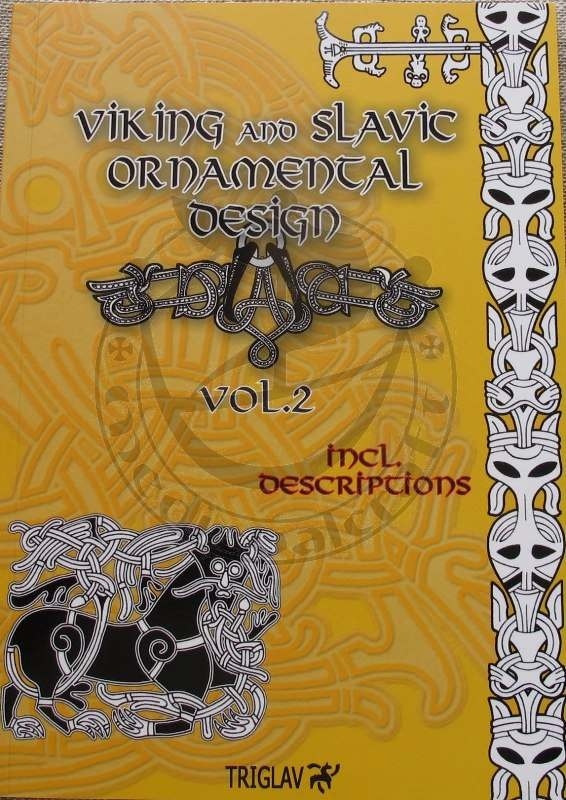 After four years since the release of “Viking and Slavic Ornamental Design” volume one, the demand for our graphic collection did not decrease, subsequent editions, reprints and an English translation occurred. Historic re-enactors and enthusiasts of the Viking Age in many countries consumed the dish that we have prepared and demand more. Thus we present 258 new, yet old designs. 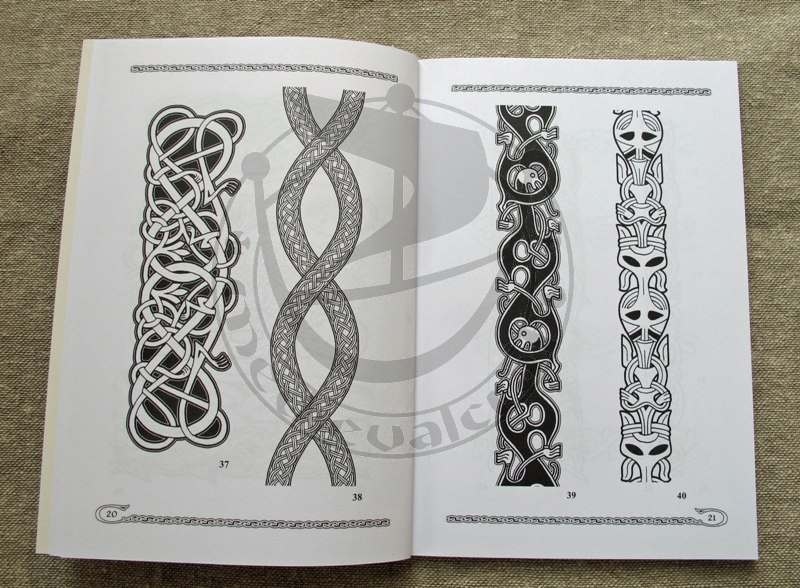 Selection of patterns was executed following the example of the first edition, but vol. 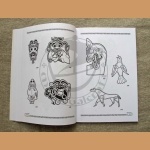 2. contains two thematic groups. 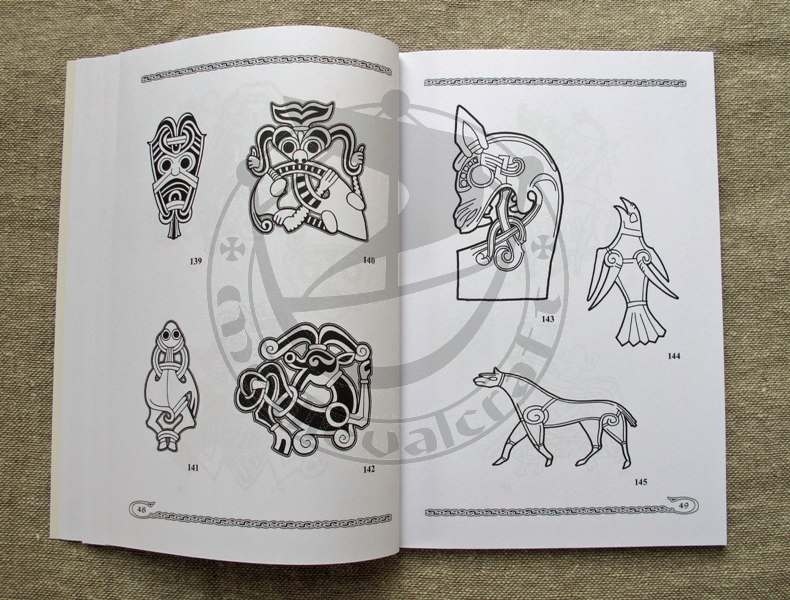 The first one is a collection of redraws of stunning reliefs accumulated on only two objects, mainly the so called Kamień and Bamberg reliquaries, which are justly considered masterpieces. 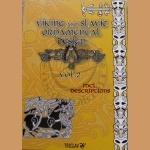 The form of the second group is much simpler, yet symbolically richer, it consists of simple representations of gods and other creatures from the Slavic and northern-Germanic mythology of the Viking Age.